Celebrate your special player, coach or an unforgettable season! Customize the colors on this three color blanket. It is available in your two team colors combined with natural white yarn. Woven from 100% cotton, and measures 48" x 70"! 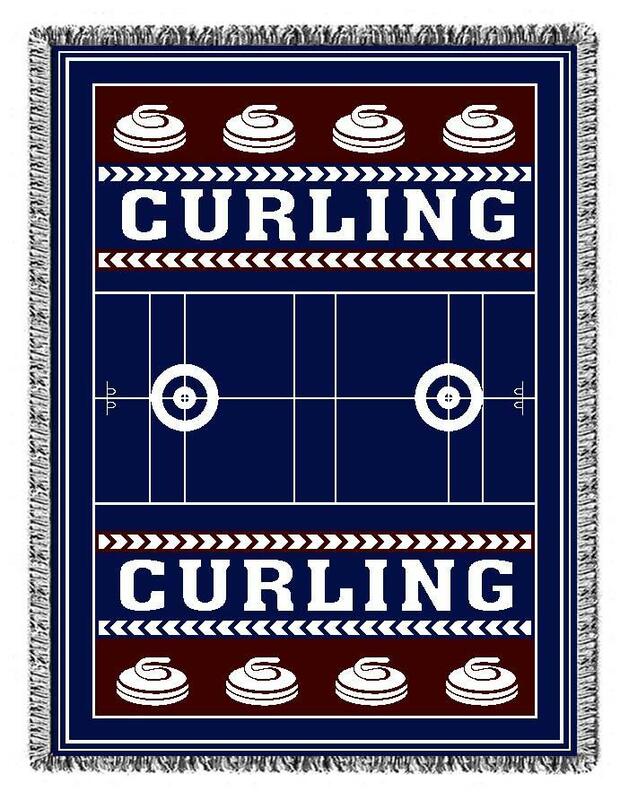 Our Classic Sport Blanket will keep you comfy and warm both at home or at any competition. Machine washable. Made in the USA from recycled yarn! Pewter Curling Rock Pendant 18"